THE NEW HARDY ST GEORGE SPITFIRES ARE HERE! 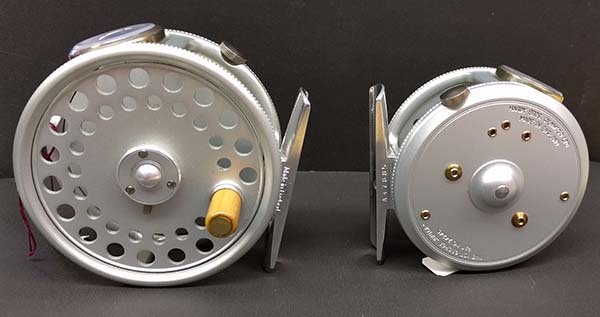 These reels are reissued by Hardy and are made in Alnwick, England. They have the Agate line guides and are available in Left and Right hand wind. Spitfire and Black finishes available. 2 9/16 St. George Trout $750. plus shipping. 3" St. George Trout $795. plus shipping.